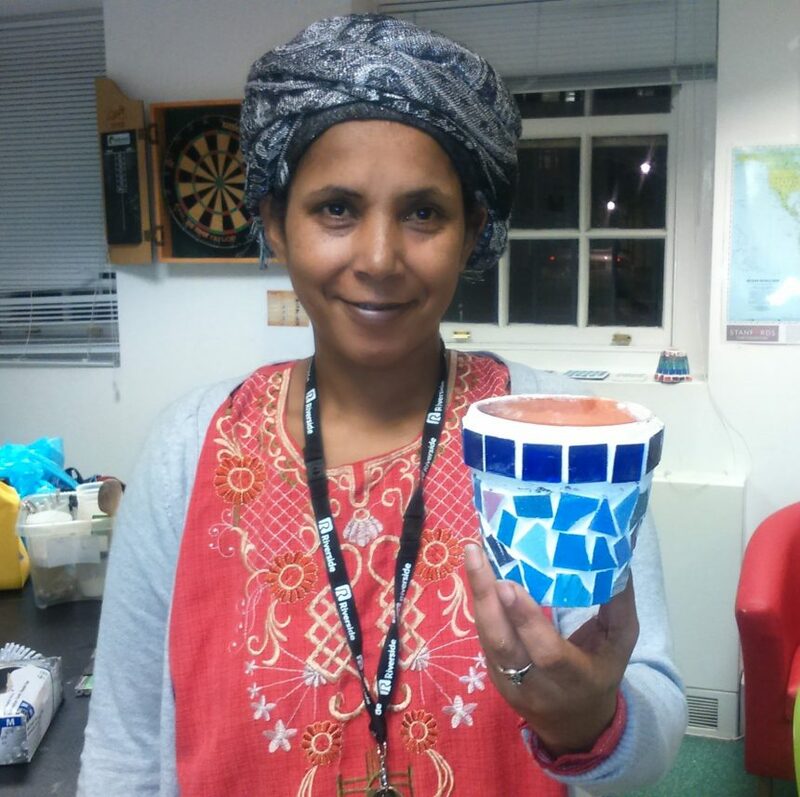 Homeless women at a hostel in Westminster have designed and built mosaics for a memorial area in their garden. Women living at Queen Mary’s hostel have experienced homelessness, and may also have a number of mental health issues, such as schizophrenia or bipolar disorder. Since September 2016, Church Homeless Trust has funded a gardening project for the women, which has helped them to transform their outdoor space. It has also spawned several arts and crafts projects which run alongside the regular gardening groups. The garden has several plaques in memory of homeless people known by the project who have passed away. The women have together designed a mosaic as part of a new memorial area. The sessions and additional craft projects let the women socialise, break up their routine, learn new skills, and contribute to their environment. Lots of the residents at the hostel have been able to take part at a level that suits them, and subsequently, have improved both their physical and mental health. They have also run cooking, art, cycling, and drama groups. These allow residents to interact with volunteers, specialist teachers, and therapists coming in from outside the scheme, as well as the drug and alcohol services and Health Improvement Teams.